With so many options it can be difficult to know where to start when choosing a T&E management system. While selecting the perfect solution for your organisation doesn’t have to be difficult or complicated, many organisations choose to adopt a formal tendering process that leverages Request For Proposal or Invitation To Tender (RFP/ITT) documents. 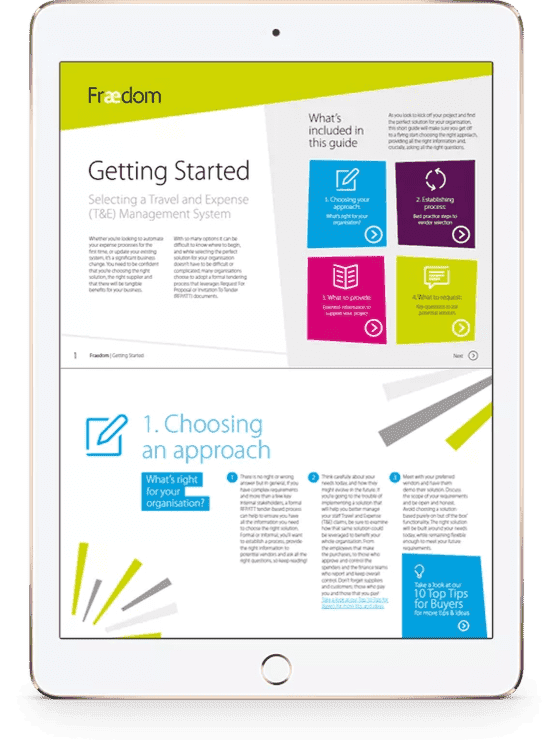 This guide will get you off to a flying start when selecting a vendor, including the questions you need to ask and the information you’ll need to provide. Choosing an approach: what’s right for your organisation? Find out how to ensure you have all the info you need to choose the right solution for your business. The importance of good planning can’t be understated! Here are some key steps to get you started. Share and obtain all the right information to ensure your chosen supplier will deliver value now and in future.